Terraced house situated right next to a small sandy beach and blue flag awarded. Near Porto Cristo consisting of a recreational port where every day there are boat trips along the coast of the island and seabed vision, also in Porto Cristo are the Caves of Drach and an aquarium. Also near the house there are several pristine beaches: Cala Varques, Cala Falco, Cala Magrana, Virgilia Cala, Cala Boot and several more, to spend a day hiking, beach, nature and tranquility. We bought this house because of its location above the beach, beautiful views of the beach and sea. This beach is small and its population. In summer if I do not have it rented with my girlfriend and my daughter, if only for a day at the beach, eating at home and off the job. We loved this house, it's set back from the beach, across a one-way road which is quiet. The house is lovely and clean, with comfy beds, hand/bath towels and well equipped kitchen. It also has a downstairs shower room and toilet - perfect for showers after the beach! The TV only receives Spanish and German shows, but we took DVDs which worked for us. The house is semi-detached, the owner has both houses, so would make a good base for two families. 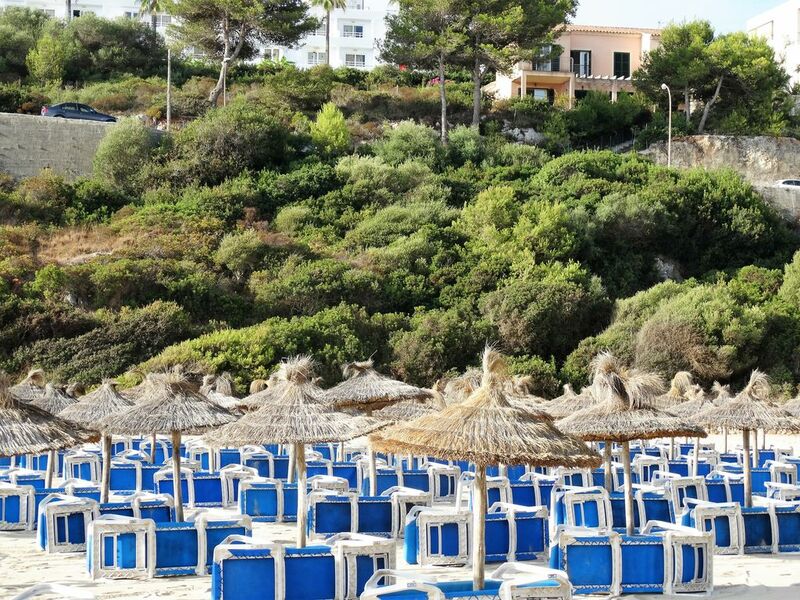 The beach is a blue flag beach, with safes on every umbrella! It's a shallow bay, perfect for our children, they loved it! It's only a 10 min drive to Porto Christo and less to the Caves. We got a taxi from the airport so we didn't need to hire a car and there are lots of local taxis to get around. Restaurants and shops were all in walking distance and the beach restaurant/bar was great. The owner arrived in time for our early arrival and was very nice. He has always been quick to respond to emails which was great. We would definitely recommend this house to anyone looking for a quieter resort, but within easy reach of other, larger resorts. La casa nos ha encantado y esta muy bien situada con bonitas vistas a la playa, estuvimos en temporada baja y la zona era muy tranquila. Mooi gelegen aan zee , nette woning. Sehr netter Besitzer, kümmert sich um alles. Zu empfehlen. Wir haben sehr schöne Tage mit einem traumhaften Blick auf die türkisfarbene Bucht verbracht. Sehr gutes Restaurant direkt am Strand. Im Haus ist alles vorhanden, sogar ein Außengrill. Der Ort ist eher unspektakulär. Très bonne situation . Maison très propre . Clim double vitrage . Propriétaire très sympathique.